These were some of the very first seeds that I grew so easily and transplanted without a single failure. A gardener should always treasure those first successes. A friend had the three colours growing in her garden and I'd always admired them. 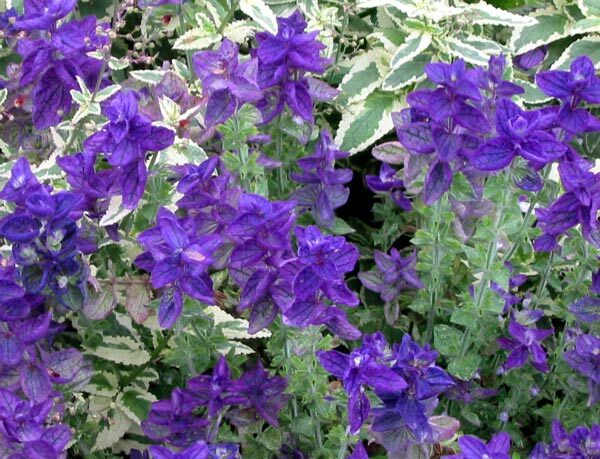 I always collect the seed from the blue variety, and I always get a mixture the following year. 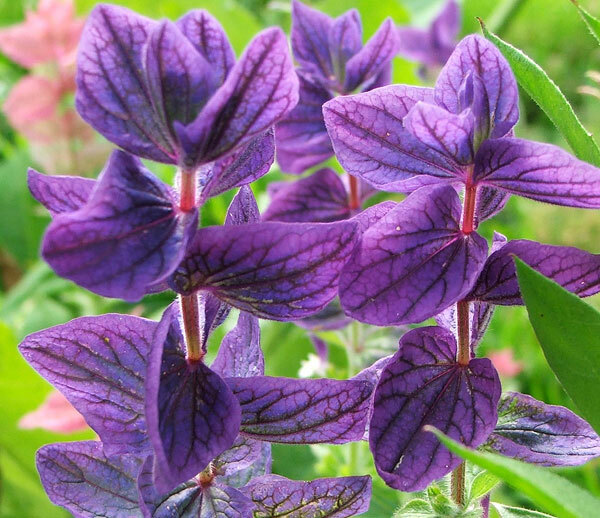 Two years ago I found separate colours in my seed catalogue, with the name Salvia Horminum, and the promise that these were a new improved strain. Finally I had seedlings that I knew would be my favourite, blue. 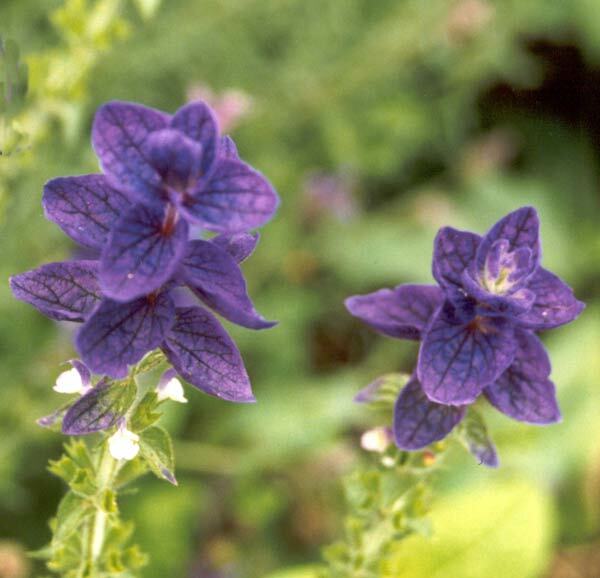 This salvia is really useful in that it flowers faithfully no matter when the seed has been sown. I have it flowering throughout winter in sheltered places. It also self seeds freely, giving me many plants which I can later transplant. 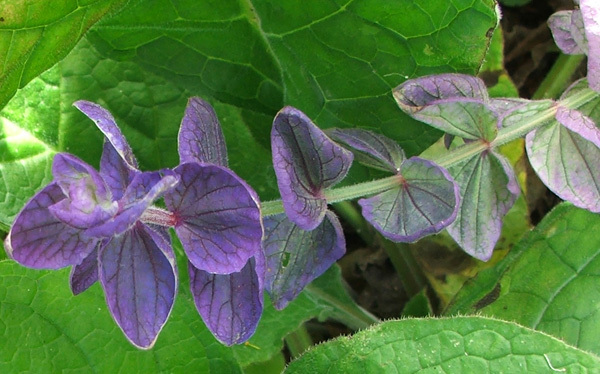 The flowers are like coloured leaves, and have a veined texture which is highlighted in the sun. I love it.